I am compelled to give a “shout out” to Anax Studios (www.anaxstudios.com) for a fine job of photography. I hired them to make professional photos of my new necklaces and they did a great job within a super quick timeline! You can find the necklaces at the Wild at Heart Boutique in Belmar, CO and soon right here on my website. 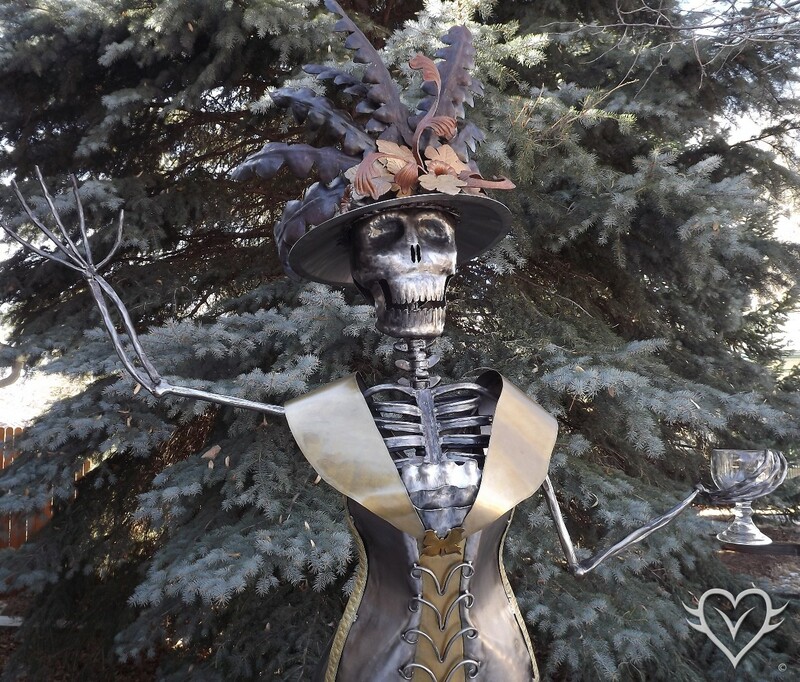 The Princess Ayer, below, was installed in a Westminster, CO park along with 2 other sculptures of mine (Lady in Waiting Catrina doll and Heart Wrenching Hands). The address is 3195 West 73rd Ave, Westminster, CO, please go by and enjoy all of the new sculptures that were installed on the same day. My trike was voted first place in the sculpture category at the Dairy Center for the Arts in Boulder.....inspired to create more!!!! 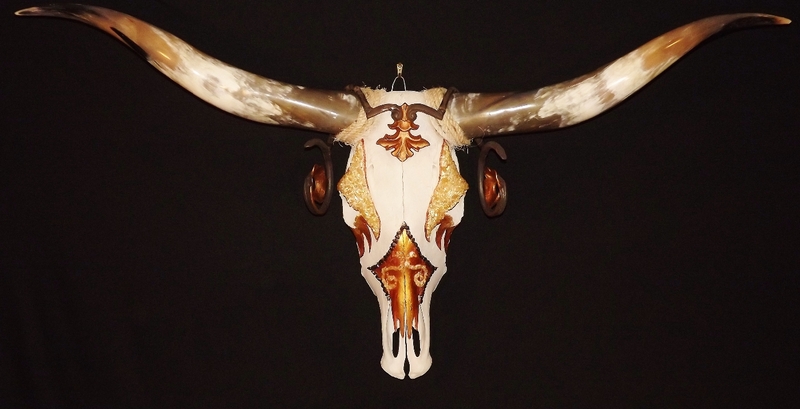 My 4th and final decorated bull skull for the local restaurant, The Matador, who will be auctioning the skulls for a local non-profit. The restaurant opening is November 22nd, this week! 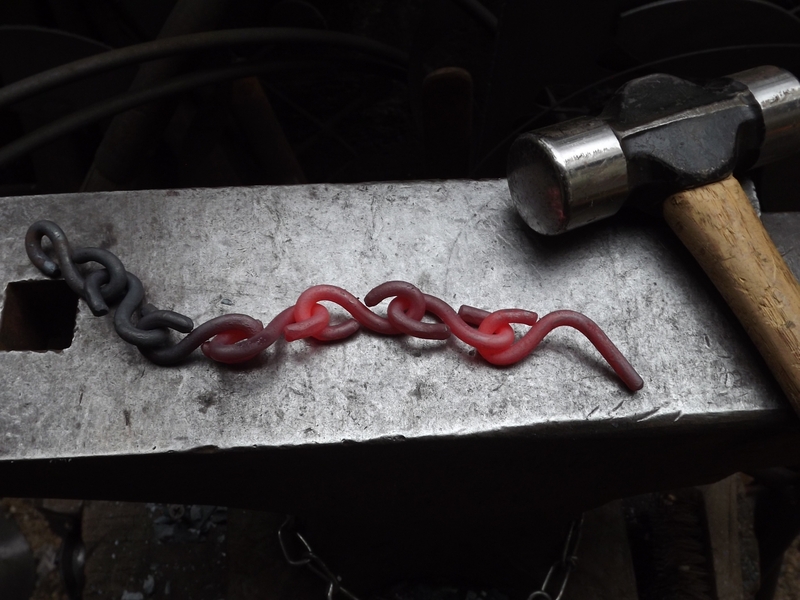 Beautiful Day to Make Chain links! Today was a BEAUTIFUL day to make chain links....cloudy/rainy/40's...just the right recipe to work on my third Longhorn skull for charity. The lucky organization that will benefit from this charity auction is The Conflict Center in NW Denver. They teach children and adults social and emotional skills for peacekeeping. My latest Steampunk meets Circus endeavor, this is for a "Bike Art" gallery entry in Boulder CO.